With Vern Cotter on his way to Montpellier later in the Summer, after his stint with the BaaBaas, he is looking for some squad additions. 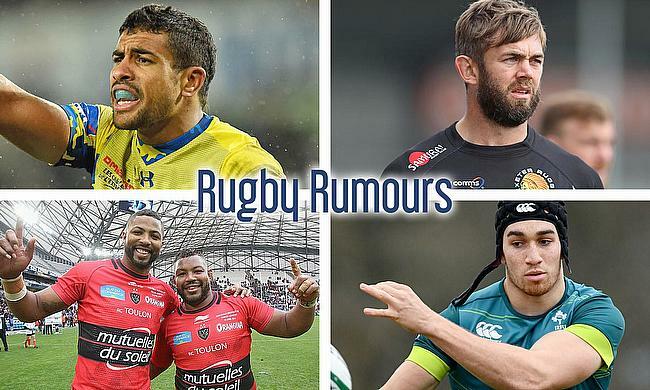 He is after Clermont Auvergne's French international Wesley Fofana, which won't be the worst acquisition going if that came through. As Geoff Parling prepares for his Aviva Premiership final with Exeter Chiefs, Japanese rugby awaits the arrival of the British and Irish Lion. Suntory Sungoliath are interested, but Panasonic Wild Knights are at the front of the pack, the same side that signed Aussie back-rower David Pocock. Rumour has it that Connacht's lock/back-rower Ultan Dillane has been head hunted by current Pro 12 league leaders Munster Rugby. This provincial switch will be a big one as the 23 year-old, Irish international looks to expand on his 10 caps for Ireland. After winning the Championship play-offs earlier in the week, London Irish are now back in the Premiership after one year in tier 2 of English rugby. With plenty of need for promotion recruitment, Irish have turned to two former centurian brothers Delon & Steffon Armitage to bring back some Top 14 experience.